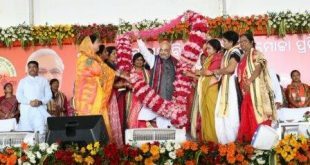 Bhubaneswar: BJP president Amit Shah on Sunday exuded confidence that his party would win the Lok Sabha and the Assembly elections in Odisha in 2019. “Addressed a meeting with Shakti Kendra in-charges and co-in-charges in Bhubaneswar (Odisha). 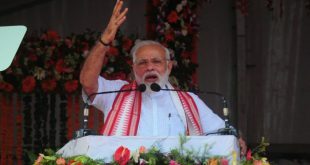 With such energy and enthusiasm among @BJP4Odisha karyakartas, BJP is all set to sweep Odisha in 2019 under the leadership of PM Shri @narendramodi,” tweeted Shah. As part of the brainstorming sessions for the 2019 polls, the BJP president on Sunday held closed-door meetings with party leaders and fine-tuned the strategy ahead of the polls. Shah has set a target to win 120+ seats in the 147-member assembly of Odisha by unseating Naveen Patnaik-led BJD government, which has been in power for last 18 years. Shah met over 2,400 panchayat-level Shakti Kendra committee heads and their deputies and gave a call to work towards winning at least 120 of the 147 seats in the Assembly election. He advised them to reach out all the booths to ensure that the welfare programmes of Narendra Modi government reach the people. He also asked them to raise the failure of the state government. 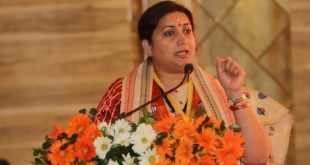 Amit Shah targeted the Odisha government over the Ratna Bhandar key missing of Jagannath temple saying that if it cannot safeguard hopes of Hindus, how it can protect interests of the state. “Shah’s guidance will surely inject new enthusiasm and energy among BJP workers and will strengthen the party at the booth level,” said Union Petroleum Minister Dharmendra Pradhan. 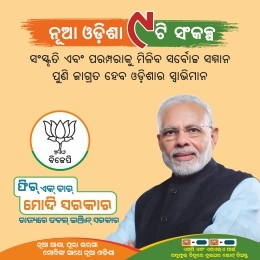 Earlier, the national BJP president was given a rousing welcome by party leaders including state unit president Basant Panda, Union Ministers Dharmendra Pradhan and Jual Oram, and scores of party workers on his arrival at the Biju Patnaik International Airport here. 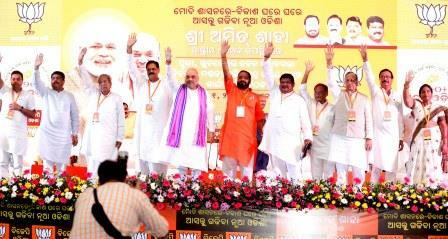 However, BJD and Congress seem to have taken the visit of Shah to Odisha lightly. BJD spokesperson Pratap Deb said the opposition BJP is misleading the people in the state to improve its vote bank ahead of polls in the state. Odisha Congress president Niranjan Patnaik said since the saffron party is weak in the state, Shah is frequently visiting the state to strengthen the party and it will have no impact on the general public.